Eye Consultants of Syracuse offers a fashionable, friendly Optical Shop that has one of the area’s widest arrays of high-quality designer eyeglass frames. We provide a large selection of today’s hottest trends like double laminate plastics, retro shapes and vibrant colors. The dispensary also provides state-of-the-art lens technology to help you see clearly and comfortably. We provide products such as Crizal embedded non-glare, Varilux® progressive lenses and Transitions® lenses that change from light to dark. Transitions® is a registered trademark of Transitions Optical, Inc. In addition to offering high-quality eyewear, the Optical Shop is well-known for its high level of personalized and professional service. Eye Consultants Optical Shop is staffed by licensed optician, Heather Sherwin. Heather has over 20 years’ experience fitting and dispensing eyewear. 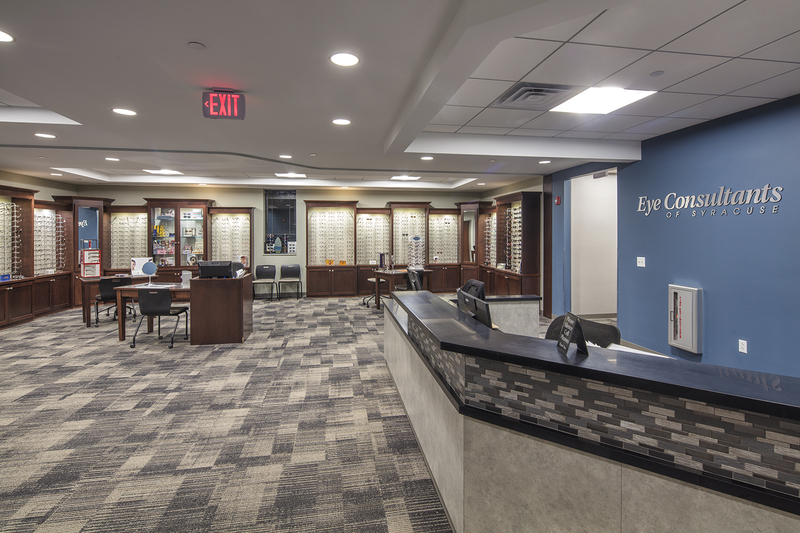 Situated within Eye Consultants of Syracuse, the Optical Shop is centrally located in Widewaters Parkway.